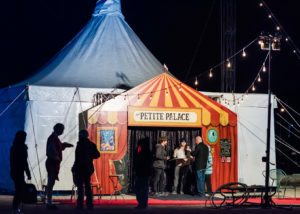 On the grounds of the picturesque Bath House Cultural Center at White Rock Lake, The Petite Palace is unlike any other circus party North Texas has ever seen. 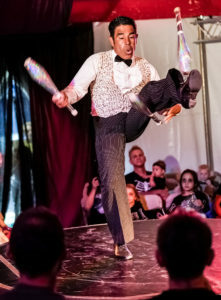 With an up-close and personal experience for 150 circus-goers per performance, there is a tent show that’s a perfect fit for everyone. The family matinees and early-evening performances will bring children of all ages many wonderful memories and lots of belly laughs. But the late-night cabaret shows are geared for more mature audiences, thanks to a tinge of naughtiness. No matter the performance, you’ll sit front and center for a mesmerizing performance and be immersed in laughter. It’s part circus. It’s part variety show. It’s part cabaret. It’s all fun. To purchase tickets, visit LaughterLeague.org.